If you're looking for a backpacking lodge, campervan site or Holiday Park that's indelibly surrounded by nature then the resort at Lake Tekapo will definitely tick a lot of the boxes. 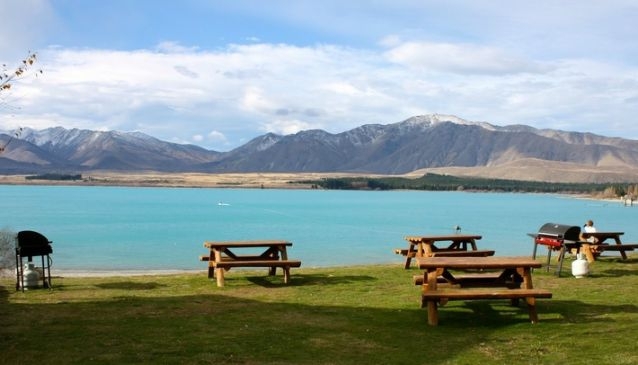 Located midway between Christchurch and Queenstown in the heart of South Island's alpine mountain ranges, this complex of campsites, cabins, motel rooms and caravan power sites boasts some seriously breath-taking panoramas of Lake Tekapo. In the summer the area comes alive with outdoor activity opportunities both on and off the water, while during the winter the nearby Roundhill Ski Field (30 minutes' drive) and natural hot springs are open to the public. On site, there are clean bathroom and kitchen facilities, along with a common room lounge that's open to all guests.